"Right in the center of of the city"
For cubicle dwellers seeking a comfortable, sophisticated spot to stretch their legs and enjoy a Mediterranean style lunch that's easy on the wallet, the Uptown Grille is the place. On the other hand, for hip, artsy twentysomethings who want to unwind with a cocktail and catch great live jazz on the weekends, the Uptown Grille is the right choice. Either way, customers are bound to be satisfied. 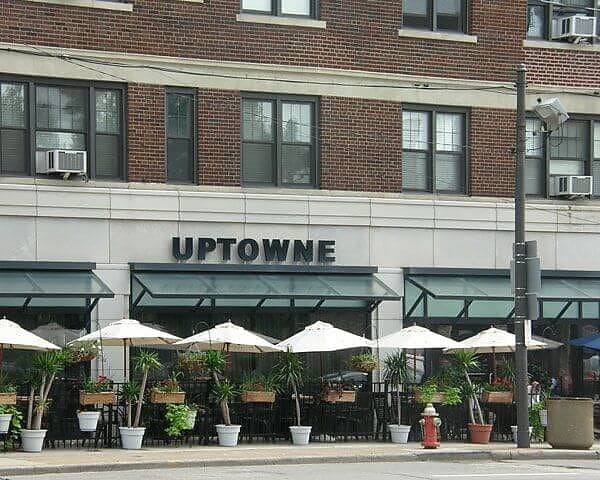 Uptowne is a friendly bar/restaurant with a menu as diverse as its patronage. The Moroccan cuisine is unique to the area and proves to be an adventure for the palate. College aged with the best location in the area!